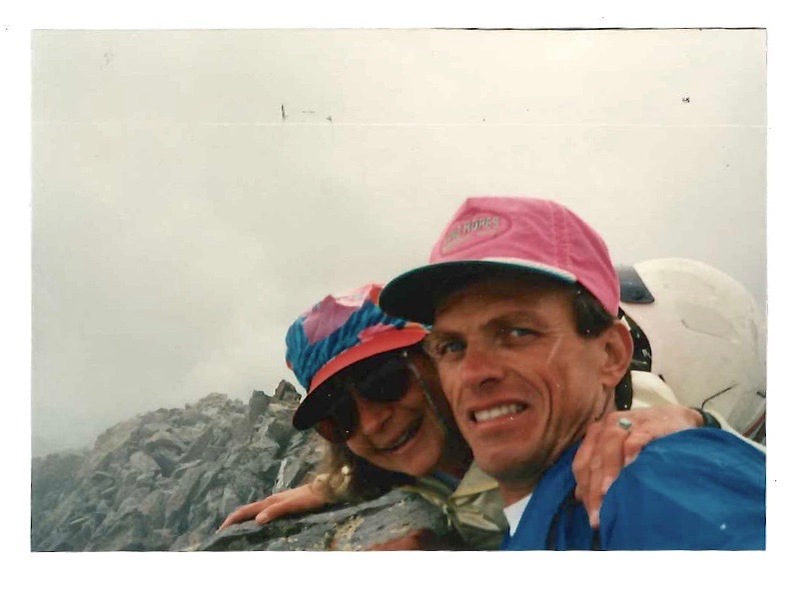 It was late summer 1991, nearly a decade after a fortunate stroke of Fate crossed the paths of two mountain loving soul mates. To this day it mystifies, how a single chance meeting evolved into a life-altering, metamorphic change in the course our lives. 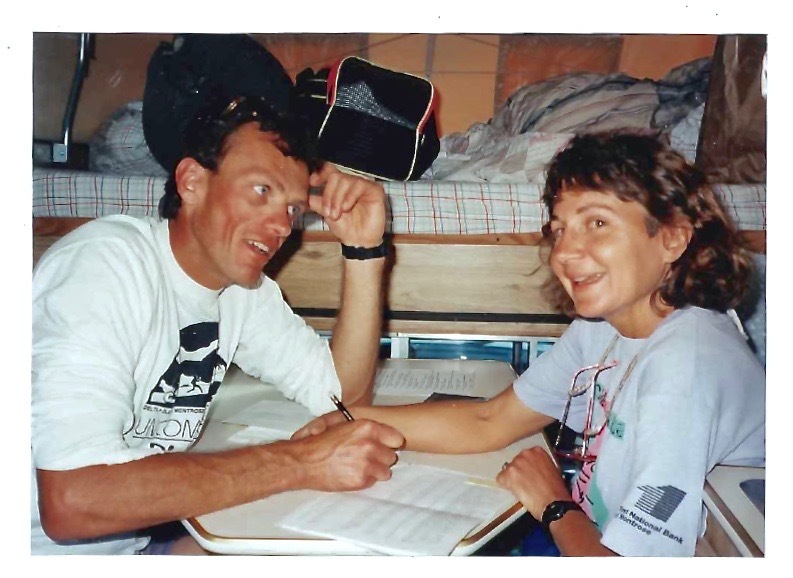 Thus, Bobbie and I found ourselves hard at work on fulfilling a wild haired dream, a first-date pledge to summit all 54 of Colorado's 14,000 foot peaks...together. 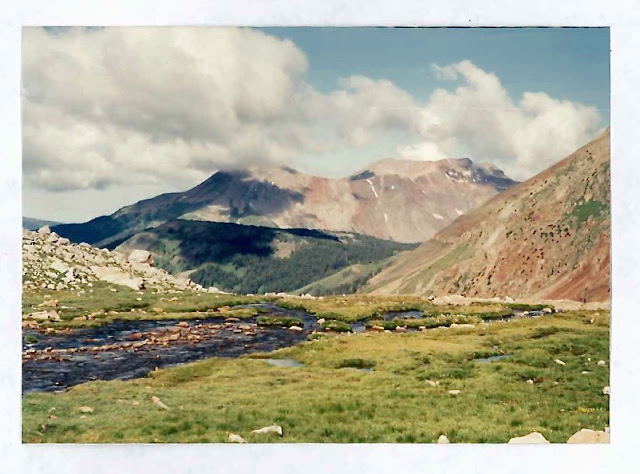 With a couple dozen 14ers under our belts, we felt the time was ripe to take on El Diente (“the tooth”), an intimidating mountain set miles deep within the Lizard Head Wilderness. This 14,159 foot wrinkle in the earth's crust had been described to us as "abrupt and unstable,” with a couple Class 3 to 4 moves to boot. But we were young and strong and beautiful…and regrettably naive. How better to undertake a challenge than on blind faith? Greek fabulist, Aesop, is generally credited with the quote, "A man is known by the company he keeps." It's been our experience that the same is true for mountains. 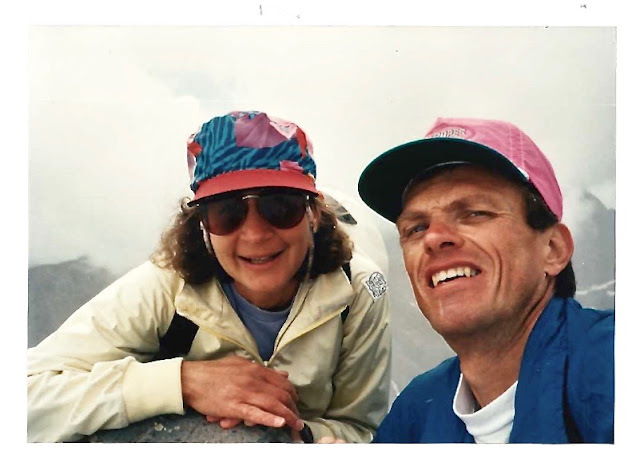 Pardon the "gang" metaphor, but, as with members of the "Crips" and "Bloods," El Diente hangs with rough company in a tough neighborhood: Wilson Peak, at 14,017 feet; Gladstone, at 13,913 feet; Mount Wilson, at 14,246 feet—all (excepting non-14er Gladstone) generally rated in the top 15 in "difficulty." 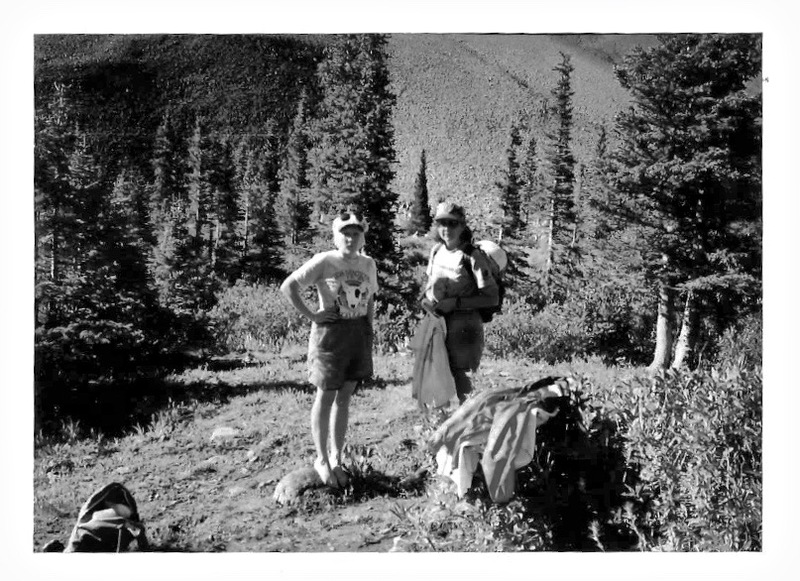 We were well prepared fitness wise, what with Bobbie always in training for various marathons throughout the southwest. And while I didn't share her passion for 26 miles of pounding pavement, I delighted in our timberline trail running adventures. I believe long distance trail running at altitude prepared us both physically and mentally for climbing 14ers, as well as mountain races like Silverton's Kendall, Ouray to Telluride's Imogene, Manitou Spring's Pikes Peak marathon, and Telluride's brutal, unsupported—now discontinued—Highline Trail. 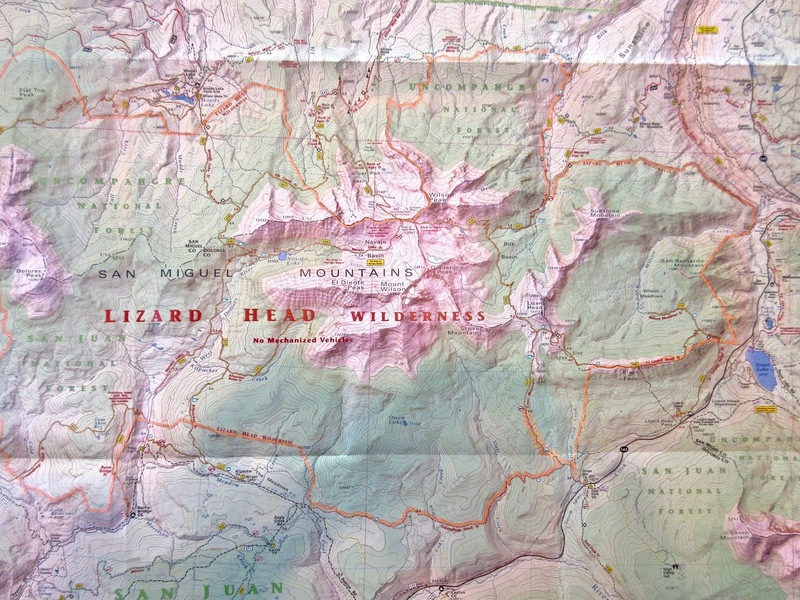 Having already climbed Wilson Peak in a tempestuous storm, and El Diente's airy neighbor, Mount Wilson, we decided to complete the Lizard Head Wilderness trifecta by summiting El Diente, this time approaching from the south on the Navajo Lake Trailhead off Dunton Road. Arriving late Friday afternoon, Bobbie and I killed time in our camper studying topographic maps, working crossword puzzles, and drinking beer (ok, it was me doing the beer drinking) while waiting for friend, Martha, to arrive (the same "Martha" that joined us on on our recent hike from Bullion King to Columbine Lake). 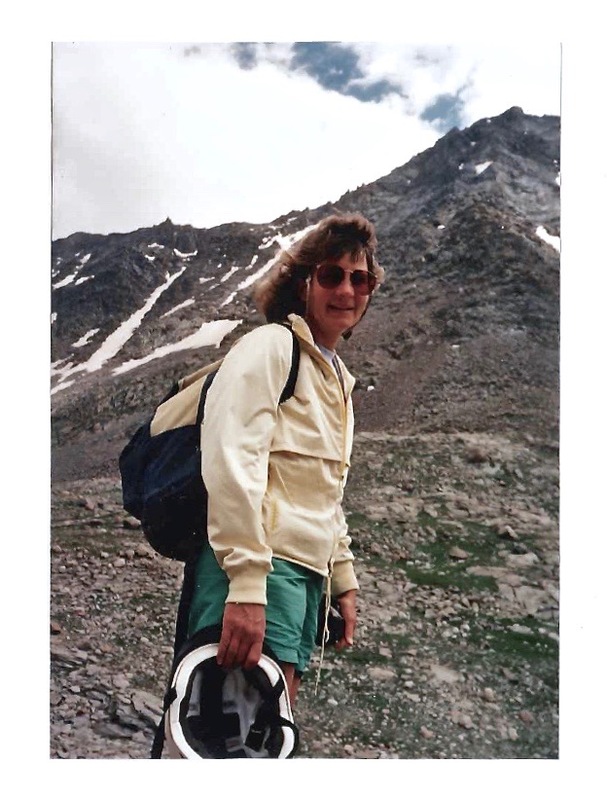 Unsaddled by self-flagellating compulsions to bag 14ers, Martha set her sites Navajo Lake and a picnic by the shore. We stumbled out of camp in dawn’s flickering light, wading a narrow path through overhanging willows and scrub laden with heavy mountain dew. It didn’t take long to soak in and chill, including feet, thanks to the wicking action of cotton socks. 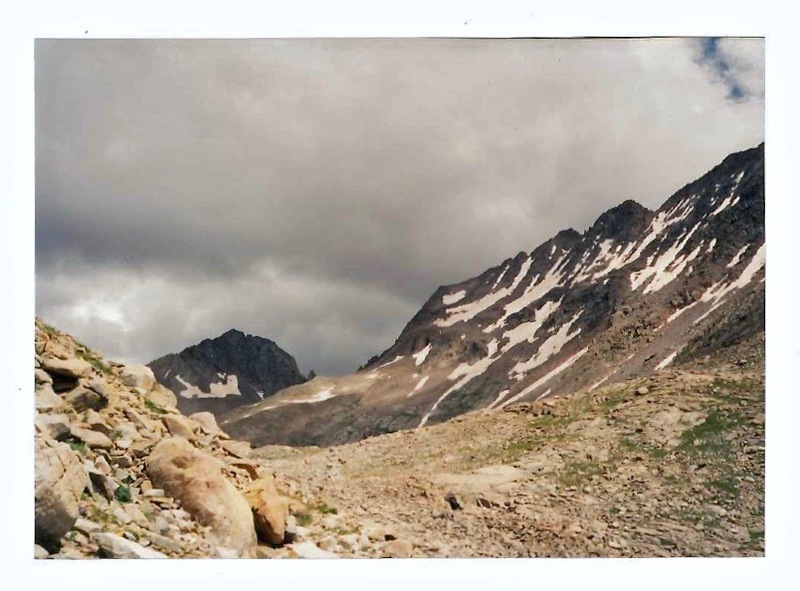 Every step came with a "squish" but we sloshed on, climbing from camp’s 9,200 feet to Navajo Lake just above timberline. 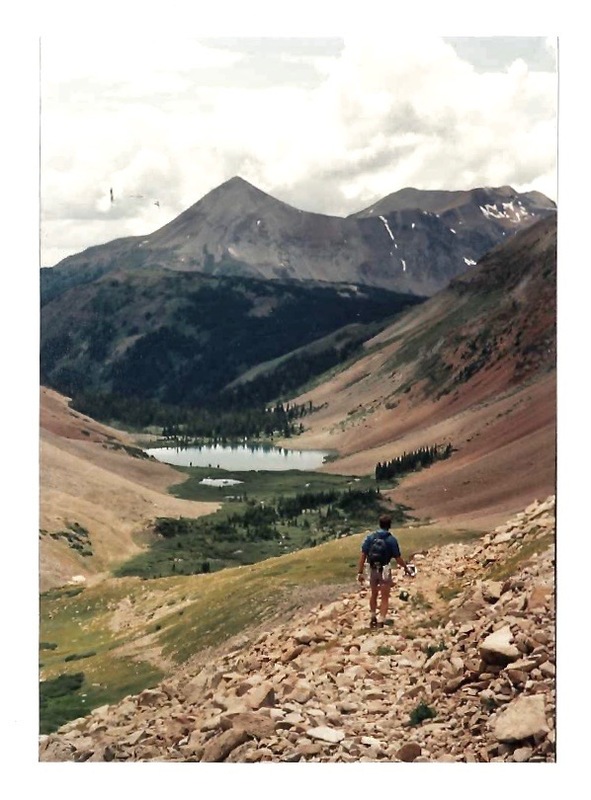 The lake was situated at the lower end of a long, steep-walled cirque of peaks with boulders and scree trailing down precipitous slopes. 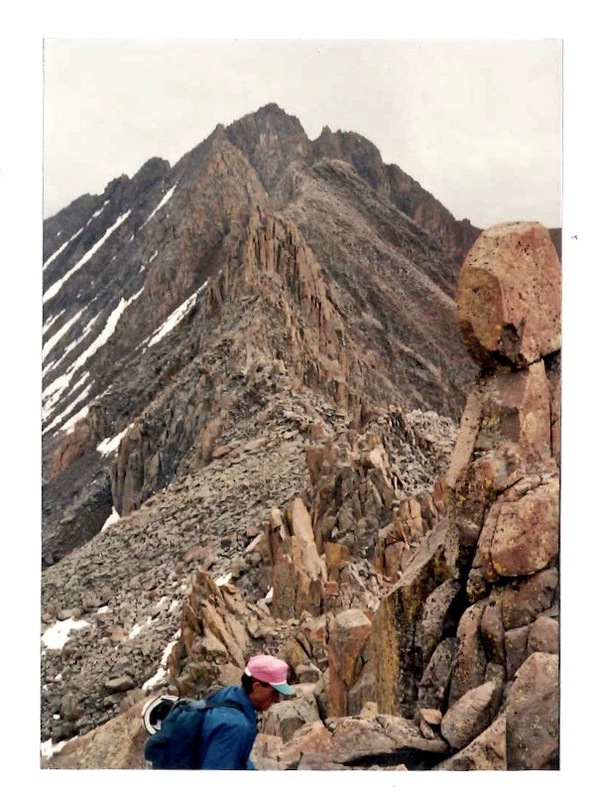 Boulder by boulder, Bobbie and I set about solving El Diente's summit route riddle, up ever-steepening, gravitationally charged walls of teetering rock. We learned the hard way not to use them for handholds after one nearly rolled us over. The going was arduous and slow, progress hard-won. Intermittent bouts of rockfall froze us in our tracks as the mountain weathered away in real-time. 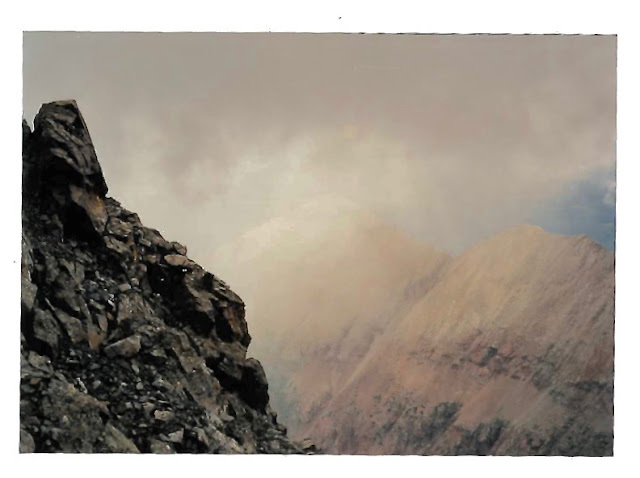 Our steps triggered landslides, forcing us to climb side by side in order to stay out of harms way. Is this the route? 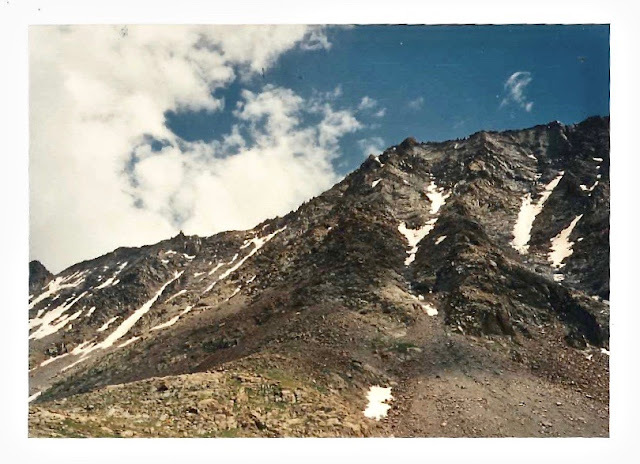 we wondered out loud…clinging to steep rotten rock that crumbled and fell away with the slightest disturbance. That we were over our heads on El Diente is an understatement as large as the mountain itself. Ropes and helmets hung ineffectual, tethered to our packs. We were an accident waiting happen. Half way up the weather began to deteriorate with a near simultaneous flash/boom of lightning and thunder. Bobbie and I exchanged raised eyebrows, wondering if maybe it was time to bag it and live to climb another day, preferably a sunny and warm one. But I am male. And like most of my gender-mates I don't like to ask for directions, nor turn around when so close to a summit objective. Do we just throw away all our investment? 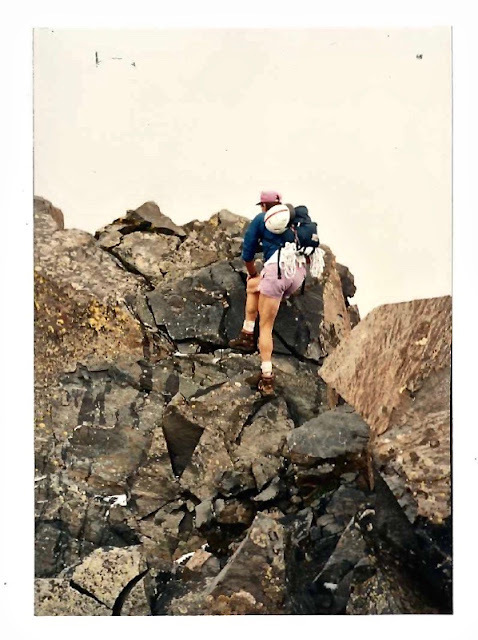 We decided to push on, exhausted from five miles of relentless ascending, oblivious to the old adage that the only successful climb is round trip. Getting to the summit is optional, getting down is mandatory. And we were not prepared to spend the night. El Diente is a skittish mountain, one with more "variables" than typical 14ers. For one, it can take as long or longer to get down as it takes to summit, mostly due to all the tipsy boulders. I liken mountains like El Diente to childbirth; you must forget the fear, the pain, the suffering, lest you end up with an "only child." 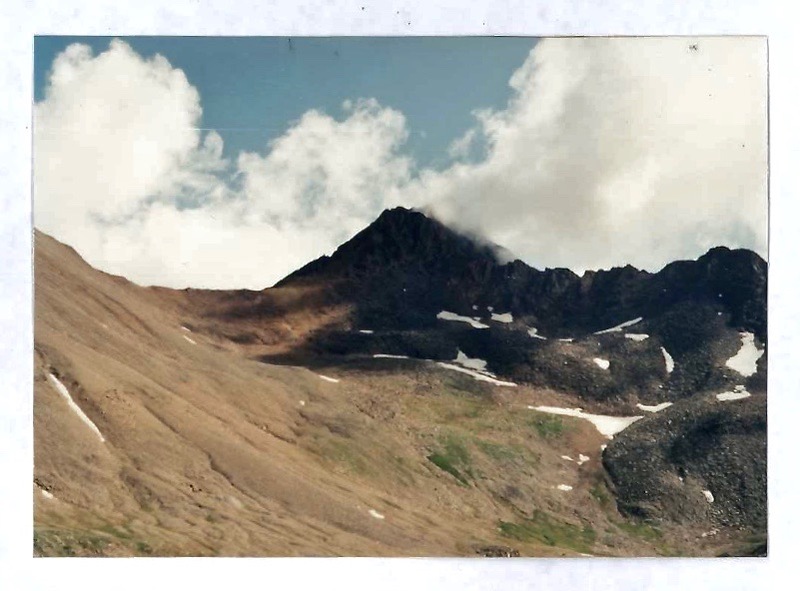 View of Mount Wilson as we gained the knife-edge ridge between it and El Diente. As we cautiously weaved our way through unstable boulders, foul weather rolled in. WTF? 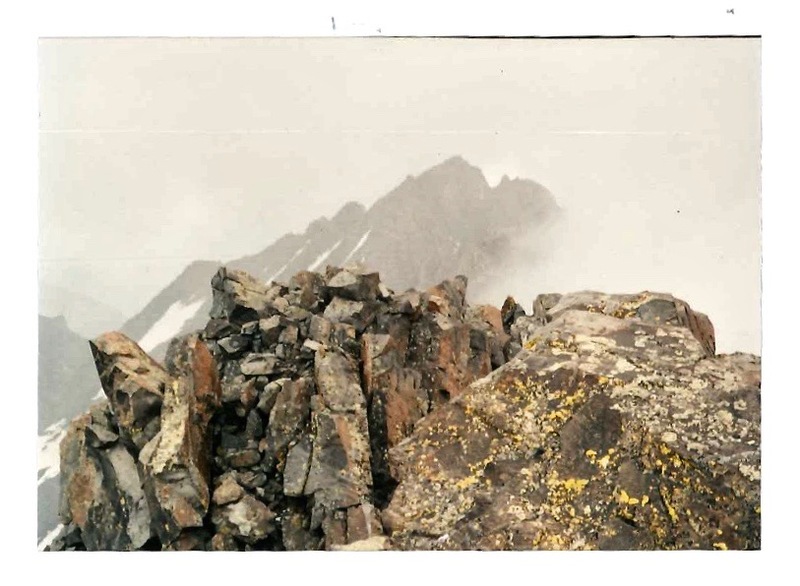 13,900 foot Gladstone, from El Diente's petite summit. Helmet in hand, safely off El Diente and no worse for the stress and wear, still-smiling Bobbie. Front and center in the V-gapped basin, just above Navajo Lake, Delores Mountain filled my heavy, cumbersome 35mm camera's viewfinder. Back in the pickup camper, Martha snapped a photo of Bobbie and I checking El Diente off our list of 14er summits. Whew! It was dark before we made it back to camp. Martha was worried, and rightly so. 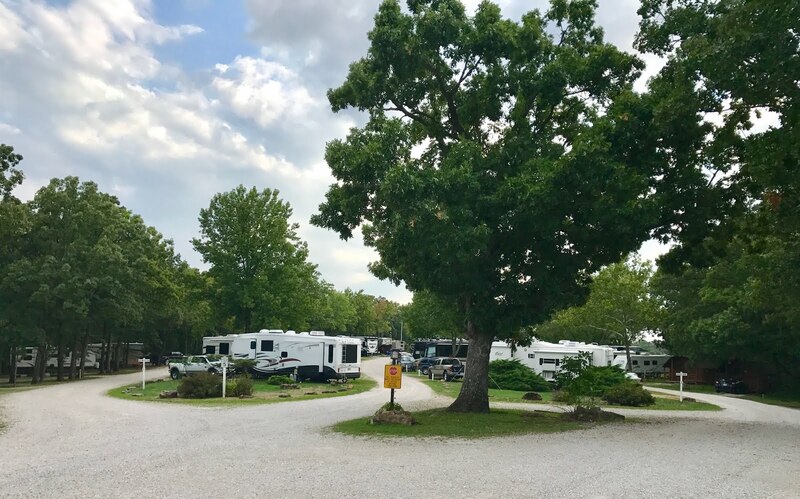 Resuscitated by food, beer, and checking El Diente off the list, I regain a measure of passion to live life to the fullest extent, for as long as possible, till "Grim" comes a knocking. Next up! We found yet another backdoor route to Columbine Lake...shorter and sweeter, but ridiculously steep. 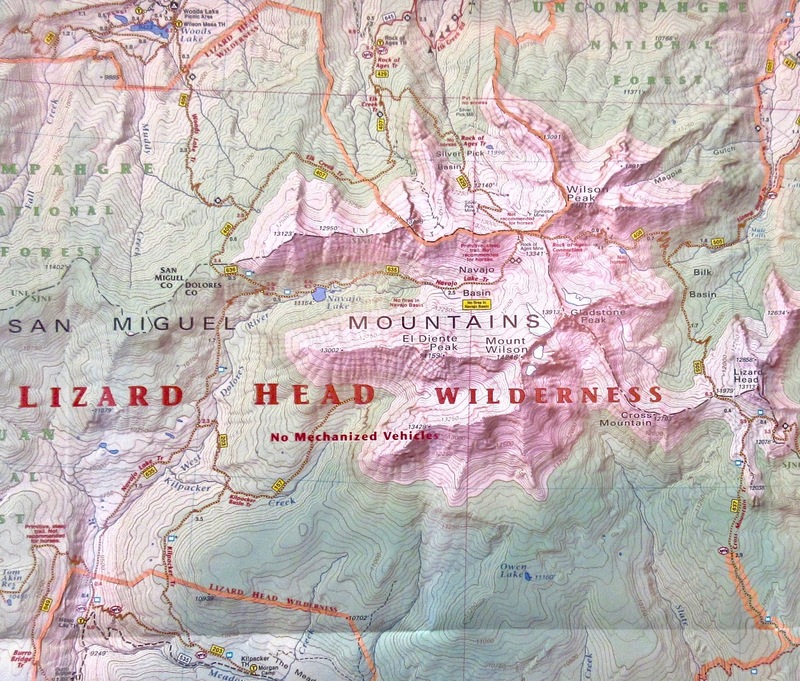 Map of the "target area," the Wilsons, Gladstone, Delores Peak and El Diente. We took Dunton Road to the Navajo Lake Trailhead and camped nearby. In my last "Woods Lake" post, we hiked to Navajo Lake via a different, north to south trail, #'s 406 to 636...about 9 miles roundtrip. Thanks so much for sharing that story. It is amazing that you and Bobbie committed to such a huge endeavor together on your first date! You two were meant to be together... Now I see how you became who you are today. I didn't get into photography until after digital cameras. 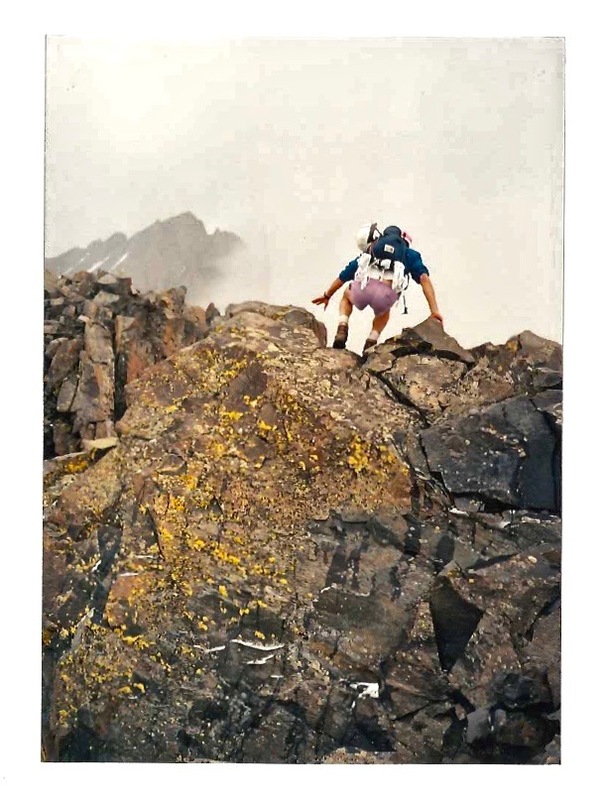 My mom was a great photographer - shooting lots of action photos in the age of manual focus and film. I am in awe of her... I wish that she'd still been here when I learned to love photography.